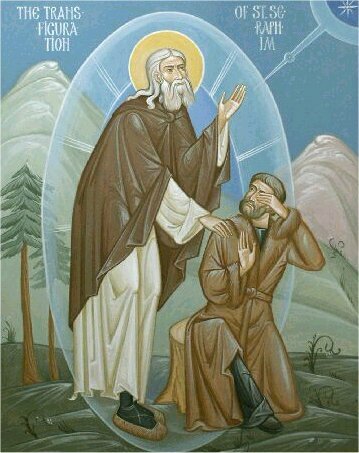 Today we celebrate the memory of our Holy Father Seraphim of Sarov, a light to many both during his life and after his death. Books could (and have) been written about his life and the many wonders St. Seraphim has worked, so I won't attempt a summary here. For those interested an account of St. Seraphim's life can be found here. May his blessing and prayers be with us all!